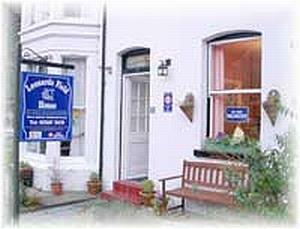 Leonards Field House017687 74170work Guest HouseRelax and unwind at Leonard's Field House, our charming Victorian Guest House offering quality accommodation in a friendly relaxed atmosphere. Enjoy an award winning hearty home cooked breakfast in our light and airy dining room and then relax in our newly decorated Guest Lounge. We can offer the use of walking books, magazines and maps and ample information on Lake District attractions and if you are planning a celebration, just give us a quick call, and we can organise flowers, chocs or bubbly on your arrival within a budget to suit all pockets. We also offer daily weather reports, boot drying facilities, off road cycle and motorbike storage and don't forget your flask, we will fill it for free. Keswick and in particular Leonard’s Field Guest House, in the heart of the Lake District, really is a special place to while away those hard earned holiday hours and we look forward to offering a warm Cumbrian welcome. Leonards Field House sometimes limits bookings to 7 or more days. Double en suite room, 1st floor, up 1 shallow flight of stairs. Tea and coffee making facilities, colour TV, hairdryer, alarm clock and shoe shining kit. New bed 2018. 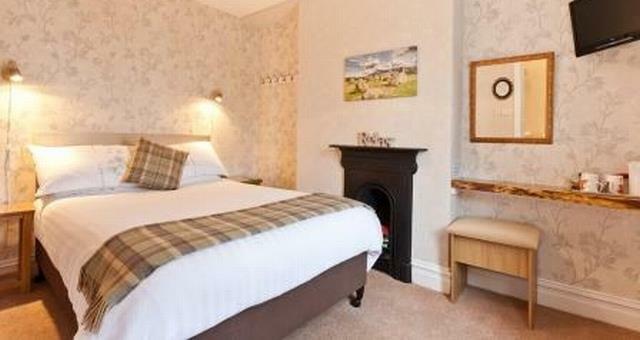 Easter minimum three night stay, discounts available for longer stays. Room 2 sometimes limits bookings to 7 or more days. Double with en-suite shower room. Tea and coffee making facilities, colour TV, hairdryer, alarm clock and shoe shining kit. This room nestles in the eaves and as a result has a narrower en suite & sloping ceiling. Cosy feel, newly decorated in modern colours with mountain view over rooftops. Tariff from £42 to £45 per person per night including breakfast, price dependant on time of year..
Room 7 sometimes limits bookings to 7 or more days. Relax and unwind at Leonard's Field House, our charming Victorian Guest House offering quality accommodation in a friendly relaxed atmosphere. Centrally located, but within 10-minutes level walking to Derwentwater Lake, Hope Park and Theatre By the Lake, for which we can obtain discounts for our guests and facilities for pre-booking theatre tickets. Coeliac owner offering Gluten Free food using strict food handling practices. Packed Lunches on request. Early breakfasts by negotiation. Children welcome from age 10. Leave M6 jct 40 and from Penrith, follow the A66 to Keswick. From Ambleside, follow the Penrith road, past the BP filling station and Fire Station. Immediately after the Conservative Club, turn left into Greta Street, then 1st right into Bencathra Street. After approximately 60yds, turn left into Leonard Street. Leonard's Field House is a large white building, positioned 2nd on the left.